Union College announced Tuesday that its next president will be David R. Harris, a 48-year-old sociologist who's currently the provost at Tufts. He'll succeed Stephen Ainlay, who's set to leave the post at the end of the current academic year after 12 years in the role. In his time at Tufts, Harris has been a transformational leader with an impressive record of achievement. Shortly after joining the administration, he led a year-long effort to create Tufts' first-ever, university-wide strategic plan. From that plan emerged many new initiatives, including 1 + 4, a program to energize civic renewal by providing students an opportunity to engage in a year of international or national service before starting at Tufts. 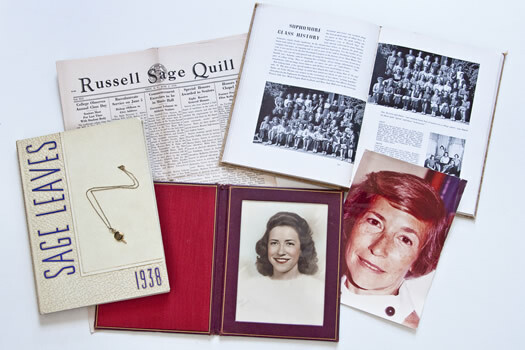 The strategic plan also led to the creation of Bridge Professorships, which span two or more schools to advance research and teaching on complex issues. 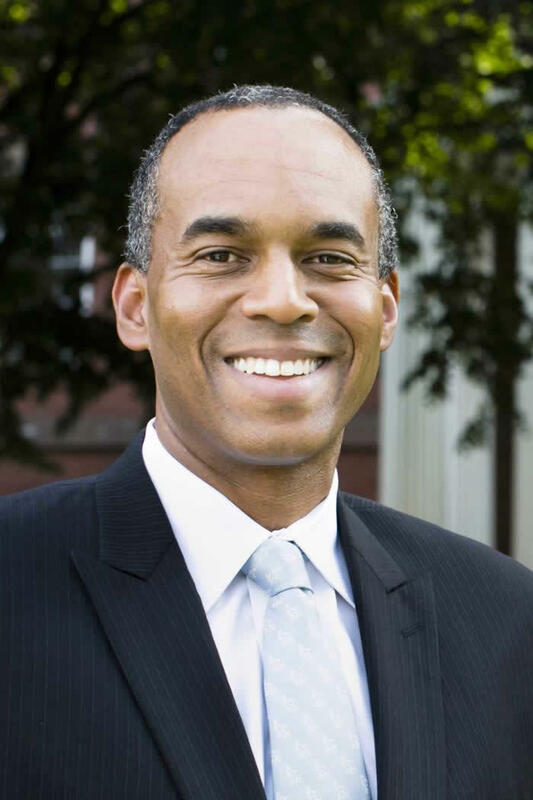 At Tufts, Harris also established the new position of chief diversity officer and associate provost, and he launched Bridging Differences, an initiative to empower the Tufts community to develop the skills necessary to engage in informed and civil discussion around some of today's most challenging topics. The next president of the University at Albany is Havidán Rodríguez. The SUNY Board of Trustees approved his appointment to the position at its meeting Wednesday afternoon. He'll start in September. 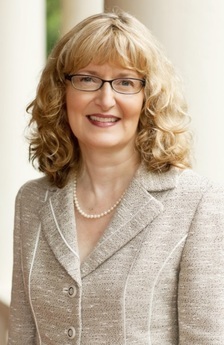 Rodríguez has been serving as the provost (the top academic administrator) at the University of Texas Rio Grande Valley, an institution that was formed in 2015 from the merger of two other UT institutions. He had served as provost and interim president for one of those institutions, the University of Texas-Pan American. Other stops in his career include the University of Delaware and the University of Puerto Rico-MayagÃ¼ez. In introducing Rodríguez Wednesday, SEFCU CEO Michael Castellana -- who chaired the search committee -- said his selection was unanimous: "He is going to bring that university outside of its walls and he's going transform this area." One of the most notable features of the big blob of legislation that finished off the state budget is the new plan for free tuition at SUNY and CUNY schools for students from families making up to $125,000 a year -- the Excelsior Scholarship. It starts phasing in this fall. The idea has gotten a lot of attention no just here in New York, but across the nation, in part because of provisions such as the requirement that students live and work in the state for a certain number of years after graduating. 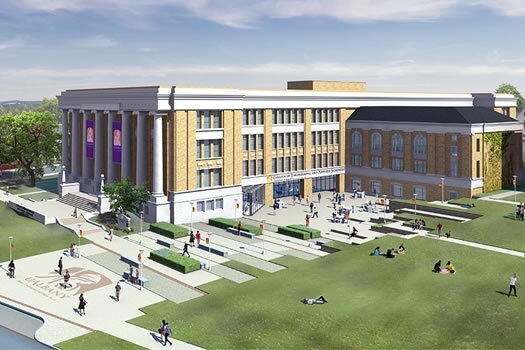 A UAlbany rendering of what the converted building could look like. It was just about a year ago that UAlbany officially announced a plan to turn a former Albany school district building next to its downtown campus into the home for the new College of Engineering and Applied Sciences. 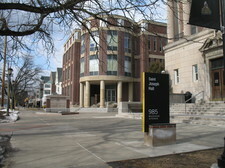 The idea behind the $60 million project is that the conversion of the Schuyler Building would not only provide space for growing a public option for engineering education in this area, it would also be an injection of activity right into the city's midsection that could help set the surrounding neighborhood on a new, vibrant path. And UAlbany has been seeking $20 million from the state go get things going. So, how's that coming along? New York's tuition-free degree program, the Excelsior Scholarship, requires participating students to be enrolled at a SUNY or CUNY two- or four-year college full-time. The initiative will cover middle-class families and individuals making up to $125,000 through a supplemental aid program. Currently 80 percent of NY households statewide make $125,000 or less with an estimated 940,000 households having college-aged children that would be eligible for the program. Based on enrollment projections, the plan will cost approximately $163 million per year once fully phased in. The Cuomo admin says the proposed program would work in conjunction with the already existing Tuition Assistance Program (TAP) and federal aid. During the announcement Tuesday, Andrew Cuomo framed the idea as a way of reducing student loan debt -- "Debt is so high it's like staring a race with with an anchor tied to your leg." -- as well as a matter of economic competitiveness for both individuals and the state: "In this economy, you need a college education if you're going to compete." 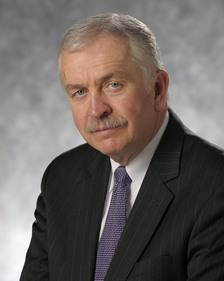 The SUNY Board of Trustees announced Wednesday that James Stellar will serve as as UAlbany's interim president after current president Robert Jones leaves at the end of this month for the University of Illinois at Urbana-Champaign. 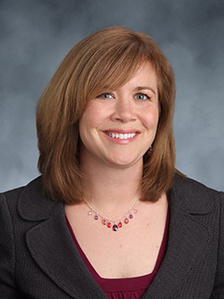 Stellar previously served at CUNY's Queens College as vice president for Academic Innovation and Experiential Education from 2013 to 2015, and provost and vice president for academic affairs from 2009 to 2014. Before joining CUNY, Stellar spent 22 years at Northeastern University in Boston, where he served for a decade as dean of the College of Arts and Sciences as well as professor and chair of psychology and associate dean for undergraduate affairs. He began his academic career at Harvard University, serving eight years as assistant and then associate professor in the Department of Psychology and Social Relations, and as a neuroscience researcher at the McLean Hospital of Harvard Medical School. He earned his doctorate in biological psychology from the University of Pennsylvania. He holds a Bachelor of Science degree in biology from Ursinus College in Collegeville, Pa.
For what it's worth: the UAlbany president before Robert Jones -- George Philip -- also started the job with the interim tag. UAlbany has a lot of notable projects in progress right now, those two new colleges among the biggest. It's planning for $60 million conversion of the old Albany high school building at Western and Lake on the downtown campus into the home of the new engineering college (and, the hope is, for it to also serve as a hub for neighborhood development there). And it's building a $184 million project on the Harriman State Office Campus to house the emergency preparedness project. And it's also aiming to increase enrollment to 20,000 (from about 17,500 right now) by 2020. UAlbany has formally announced its intent to turn the convert a former Albany school building next to its downtown campus into the home for the new College of Engineering and Applied Sciences. 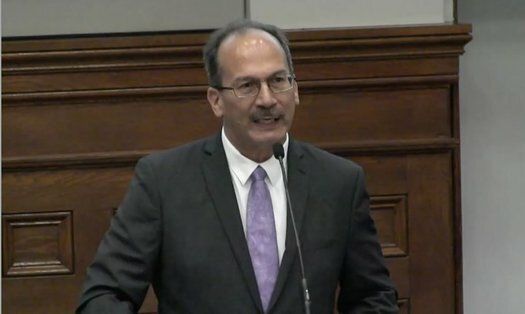 The university is seeking $20 million in the state budget to get started on the project, which it says will ultimately cost $60 million. 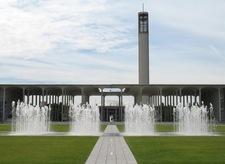 The building is on the western end of UAlbany's downtown campus, between Western and Washington avenues at North Lake. UAlbany bought the building from the Albany school district a few years back. 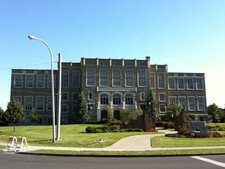 It had originally served as (the second version of) Albany High School, and then Philip Schuyler Elementary. All told, the $60 million project will create 127,000 square feet of classroom, research and office space with capacity for more than 1,000 students and 180 faculty and researchers. It will also create a dynamic new community resource, including a 1,000-seat auditorium, space for new collaborations with local schools and community organizations, including a "Summer Science Saturday" program, and other opportunities. If the project goes through, it'll be interesting to see how affects the surrounding area. 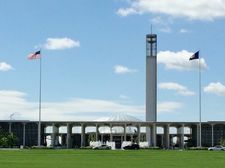 UAlbany already has presence there, of course -- the Rockefeller College of Public Affairs & Policy and other programs are based there -- but the new college is a potentially significant addition of people and activity. The press release included bits about the "comprehensive vision" for the engineering college, which include a maker space and improving the North Lake Ave-Ontario Street corridor. The full list is after the jump, if you're curious. 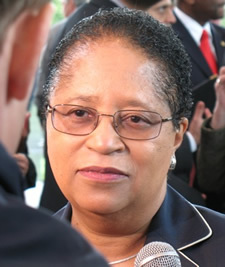 RPI president Shirley Ann Jackson topped the list of the nation's highest paid private college president in 2012, according to an analysis by the Chronicle of Higher Education. Jackson's total compensation -- $7.1 million -- was more than 3.38 million higher than that of the second president on the list. The Chronicle's website has a detailed breakdown of the numbers for each president. In Jackson's case, her total compensation also ranked third in the nation when calculated as compensation per institution total expenditures. And it ranked in the 99th percentile nationally for base pay to faculty salary ratio. Noted: There's a new(?) 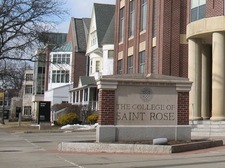 name for the merged College of Nanoscale Science and Engineering and SUNY Institute of Technology -- SUNY Polytechnic Institute, or just SUNY PI. 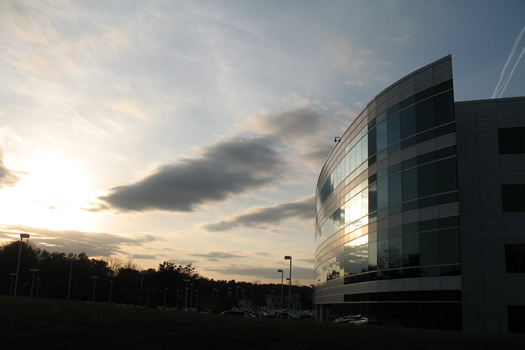 SUNY Polytechnic Institute (SUNY PI) is New York's globally recognized, high-tech educational ecosystem, formed from the merger of the SUNY College of Nanoscale Science and Engineering and SUNY Institute of Technology. 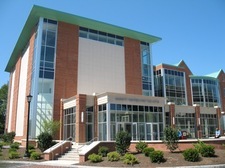 SUNY PI offers undergraduate and graduate degrees in the emerging disciplines of nanoscience and nanoengineering, as well as cutting-edge nanobioscience and nanoeconomics programs at its Albany campus, and degrees in technology, professional studies, and the arts and sciences at its Utica/Rome campus. As the world's most advanced, university-driven research enterprise, SUNY PI boasts more than $20 billion in high-tech investments, over 300 corporate partners, and maintains a statewide footprint. "Educational ecosystem" is a new one to us. 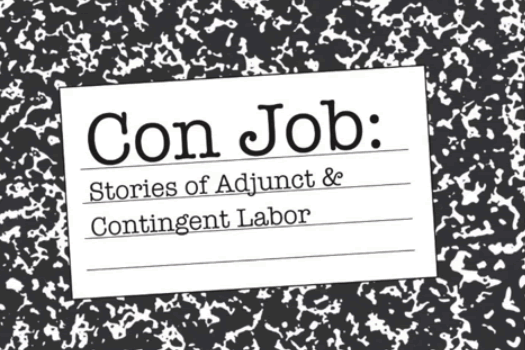 A documentary by two Saint Rose professors about the rise in the use of adjuncts in higher education -- Con Job: Stories of Adjunct and Contingent Labor -- will screen at the Madison Theater May 12 at 7 pm. After the screening there will be a discussion with some of the people in the film. Tickets are free. I think we like to think of higher ed as protected from or different than that corporatization. That higher ed is not a space that's supposed to be driven by the bottom line and the way that other businesses are. But ultimately it's here and it's happening in the same way it's happening in many other sectors of the economy for the very same reasons. That it's flexible, that it's cheap, that it's ultimately about the bottom line. The word "Buffalo" is there at the bottom. As state university systems go, New York is unusual in that it doesn't have one (or two) huge main universities a la Ohio or Michigan or Pennsylvania. 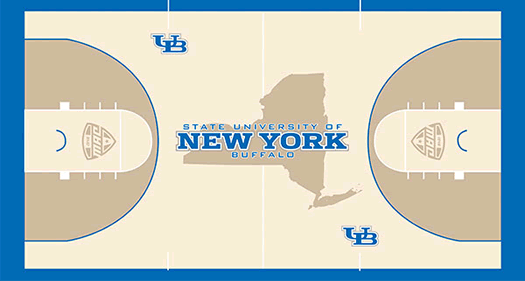 Instead, there are the "flagship" or "university center" campuses -- Buffalo, Albany, Binghamton, and Stony Brook -- which always seem to be formally or informally angling to get to the head of the line. Which arrangement -- huge central campus, or distributed system -- is better is an interesting question (and probably hard to answer). NYSU: This sort of talk isn't new. About 10 years ago, according to the Buffalo News' Bob DiCesare, Tom Golisano reportedly offered UB "unspecified millions" if the school changed its name to New York State University. Empire State University: There's already an Empire State College, which specializes in distant learning and "non-traditional" college classes. It has offices in Saratoga Springs. There is not an Empire State University -- at least, outside comic books. Attractive because of its ample... seating. The conference leaders want six eastern and six western -- really, midwestern -- schools. 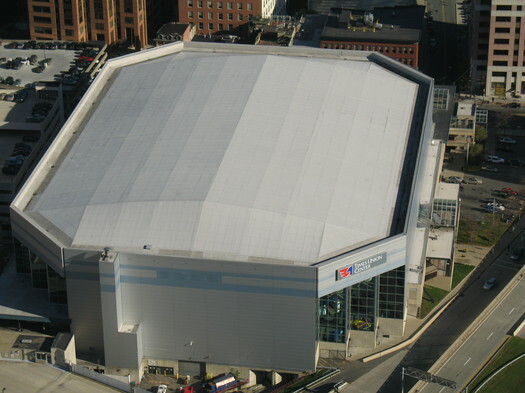 The eastern division of the league will consist of Georgetown, St. John's, Seton Hall, Villanova, Providence and either Richmond (also a non-Catholic school) or Siena -- a late entry but a potentially appealing one because it's a Catholic school that (more importantly) plays in a 15,500-seat arena in Albany, N.Y. Being picked for your gym probably isn't the reason most schools hope they'll draw suitors -- though, hey, if you got it, flaunt it. Also: it's nice to be considered. The Chronicle of Higher Education has posted its latest analysis of private college president compensation, and RPI's Shirley Ann Jackson is #2 on the list at a little more than $2.3 million. The total is for 2010. The Chronicle draws much of its information for this analysis from the Form 990 that non-profits must file with the IRS. You can check out those forms for yourself at Guidestar -- here's the 990 for RPI. Earlier this year we pulled compensation data for all the college presidents in the Capital Region. Like the Chronicle's report, it's for 2010. 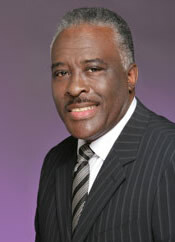 UAlbany announced today that the SUNY Board has appointed Robert J. Jones as the university's next president. He's currently a VP in the University of Minnesota system. He'll start at the beginning of 2013. A native of Dawson, Georgia, Dr. Jones has more than three decades of higher education leadership experience as well as academic expertise spanning plant physiology and urban and international development. He earned a bachelor's degree in agronomy from Fort Valley State College, a Master of Science degree in crop physiology from the University of Georgia, and a doctorate in crop physiology from the University of Missouri, Columbia. After earning the Ph.D., he joined the University of Minnesota faculty as a professor of agronomy and plant genetics. He is an internationally recognized authority on plant physiology and has published numerous scientific papers, manuscripts and abstracts. His research focuses on the role of cytokinins in stabilizing grain yields of maize against environmental stresses and global climate change. Over his career, he has trained many students who have gone on to leading careers in higher education and research. As Nick points out, Jones is a bit of a surprise pick (publicly, at least) -- his name wasn't on the list of finalists leaked to the Times Union in July. George Philip has served as UAlbany president since 2007, first as interim president, then in a permanent role starting in 2009. The school announced last November that Philip was retiring. 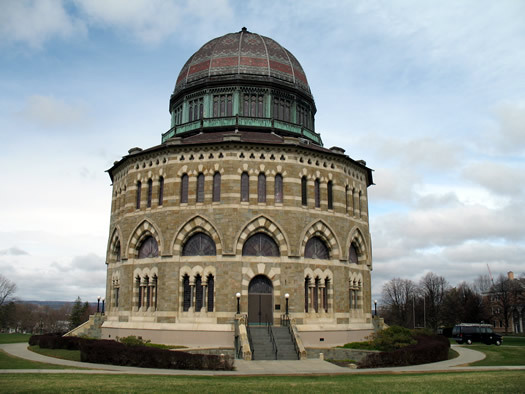 The website College Grotto recently released its annual list of the most expensive colleges -- and again Union, Skidmore, and RPI are on the list. 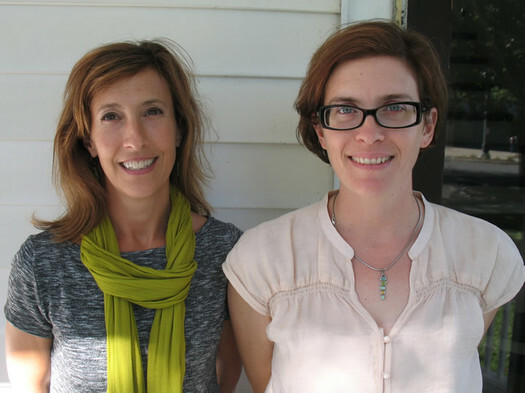 Skidmore's ranking has dropped considerably over the last few years -- it was #5 in 2009. RPI has been headed the other direction -- it was ranked #62 in 2009. Sarah Lawrence topped College Grotto's list this year at $59,170, followed by NYU ($56,787), Columbia ($56,310), Harvey Mudd ($55,998), and The New School ($55,890). Here's Forbes' recently-released list -- it also has Sarah Lawrence #1. + Union, RPI in top 20 for "return on investment"
Albany metro an "economically vibrant college town"
The Albany metro area ranks 15th in a list of the "most economically vibrant college towns" from The Atlantic and Richard Florida. Our measure is not limited to smaller, more traditional college towns, but also includes larger metros like Boston, San Francisco, Washington D.C., and New York, which are home to major college campuses and large numbers of students and faculty. We measure economic vibrancy in terms of six key variables: per capita income, high-tech industry concentration, the rate of innovation (measured as patents per capita), human capital (the percentage of adults with a bachelor's degree or higher), percent of the workforce in the creative class, and the affordability of housing.